Master Mark Seidel has been studying Martial Arts since 1967, he holds a Black Belt in ITF Taekwondo since 1973 and changed to WTF in 1990. He currently holds the rank of 7th Dan Taekwondo through The United States Korean Martial Arts Federation and his previous Dans through the Kukkiwon. He holds an 7th Black Belt Rank in Combative Martial Arts (real life self defense). Mark was an innovator in teaching Taekwondo to children that learn differently and has been published in several magazines and articles about his theories and successes. He was Director of Physical Education of The Midtown Academy, where he taught the entire school Taekwondo as their PE curriculum. This earned Master Mark a Commendation from the Mayor of Baltimore and Baltimore City Council. He has several commendations and awards from The Maryland Taekwondo Association. Having taught over 1000 students, his highlight was promoting 8 Black Belts from Midtown Academy of which a documentary was produced highlighting their journey from white belt to black. The Baltimore Sun Papers also wrote three articles on the program. One of his cherished accomplishments was teaching for 13 years at The Baltimore Lab School (a school for exceptionally bright students who learn differently) and producing two Black belts and many color belts from his tenure at Baltimore Lab. 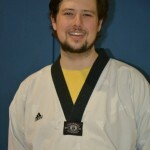 He served as a Motor Skill Specialist in the Occupational Therapy Department and holds a Certificate as an OTA from Penn Foster College in PA. His combination of working in the OT department and teaching TKD led to an amazing discovery of the similarities of traditional Occupational Therapy and Basic Martial Arts movements. Master Mark has trained Many State and National Champions and has served as a MD state referee, judge and coach over the last 25 years. Master Mark has also served as a covert specialist for a private contractor both in security and product shrinkage. He has worked with many local law firms and accounting firms helping uncover hidden assets, scams and misappropriation of company funds. This has led to his life long goal of bringing Balanced Life Systems to his students for success not just in Martial Arts but in life. Master Mark continues to teach former students from his old schools plus new students from the surrounding community and also is a member of the Adjunct Faculty at Community College of Baltimore County, where he teaches Health and PE/Fitness. Mr. Zac Lawhon 3rd Dan, TKD WTF, USKMAF Zac is a student of Master Mark and also teaches Art at Baltimore Lab School where they met. 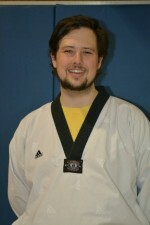 He has studied Martial Arts for the last 12 years and has past his 3rd Dan Certified Instructor tesrd. Mr, Zac holds both a BA and MA in Art from MICA and is an extremely talented artist, photographer and special educator. Danni has trained with Master Mark since 1st Grade, she is now a Freshman in college and is loved by every child she teaches. She has interned at Baltimore Lab Schools for three years. She is currently past her test for 3rd Dan Certified Instructor. She aspires to teach children who learn differently when she finishes college. Danni teaches for Smart Steps in an after school TKD program.